De La Rue is a British pen company that has made great, quality fountain pens for a very long time. They were also the first company to use a plunger filling system. 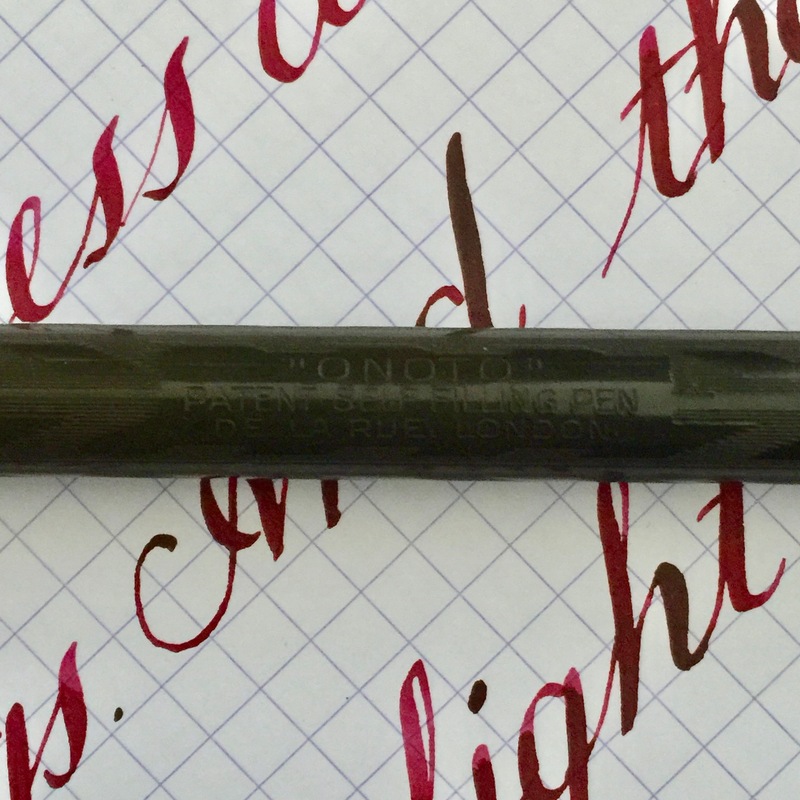 They called these simply “Onoto” which eventually became the name of the pen making branch of the De La Rue company. This pen is loads of fun. The hard rubber body has faded some to a very dark blackish brown. Chasing and imprints are near perfect. This needed a complete overhaul of the filling system (new plunger, rod, cork seals, etc.). These Onoto plunger fillers are quirky but great once you get the hang of them. 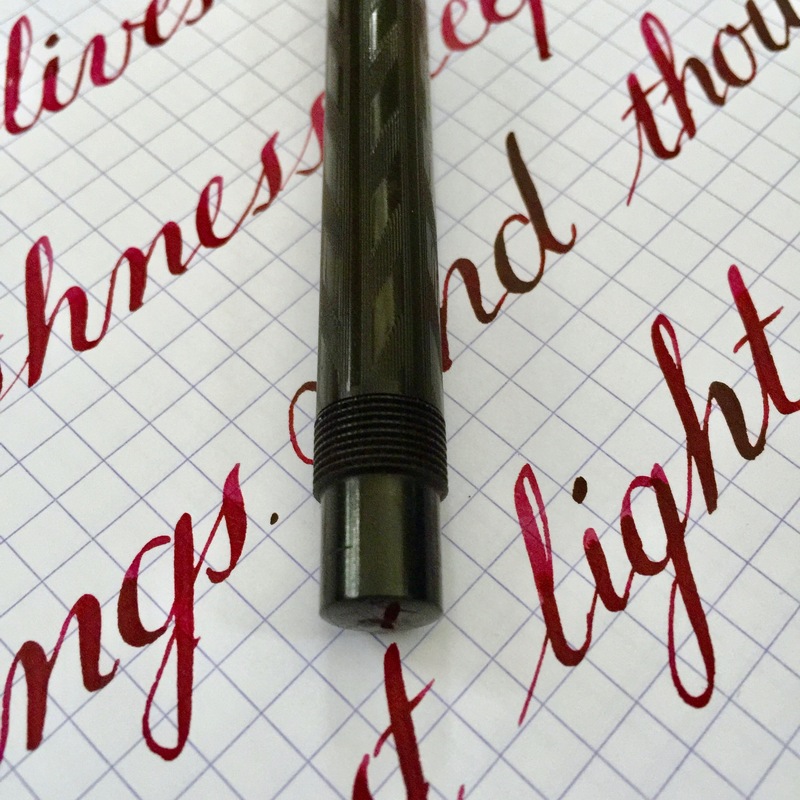 What makes this Onoto particular fun is the soft, flexy oblique italic nib. 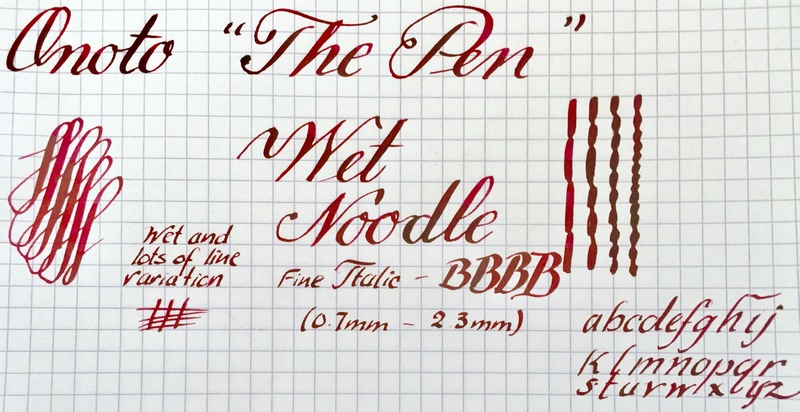 The nib has great line variation with downstrokes at 0.7mm and horizontal strokes about 0.3mm (maybe a bit less). 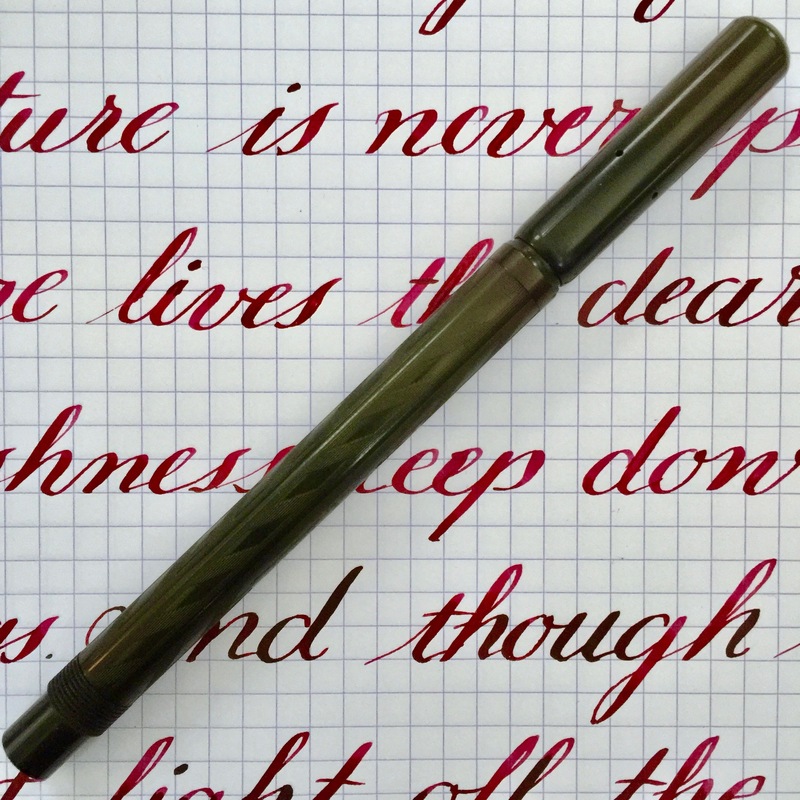 It is a lovely, wet and smooth italic nib. 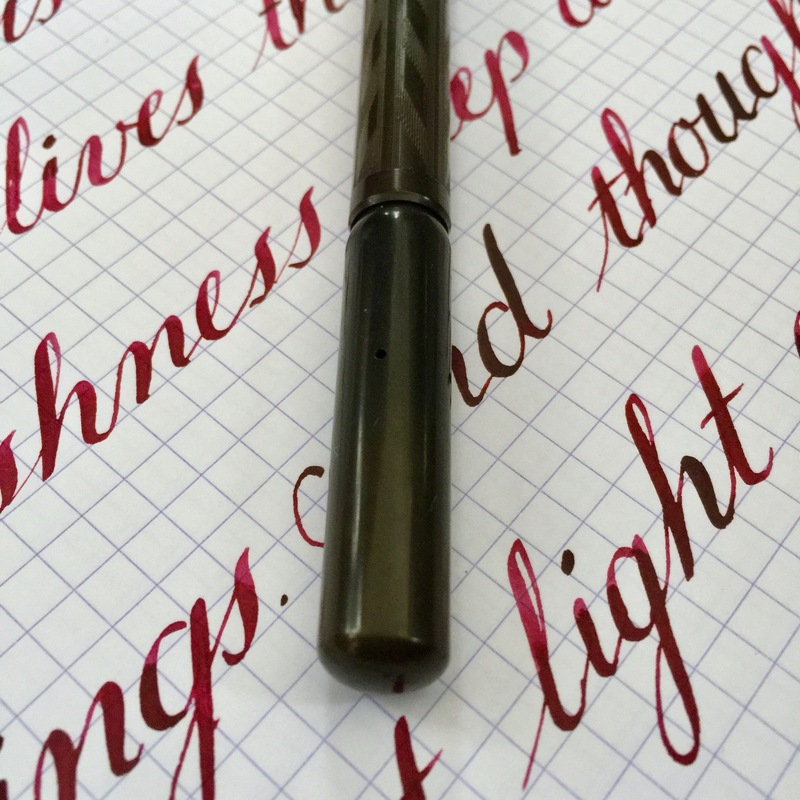 That alone makes this pen a blast, but then add soft flex to it and wow. Italic + flex is a fantastic combination. Oblique, italic, and flex is an even better one. Each of these characteristics work to enhance each other. Now these plunger fillers have an interesting ink flow that takes a bit getting used to. 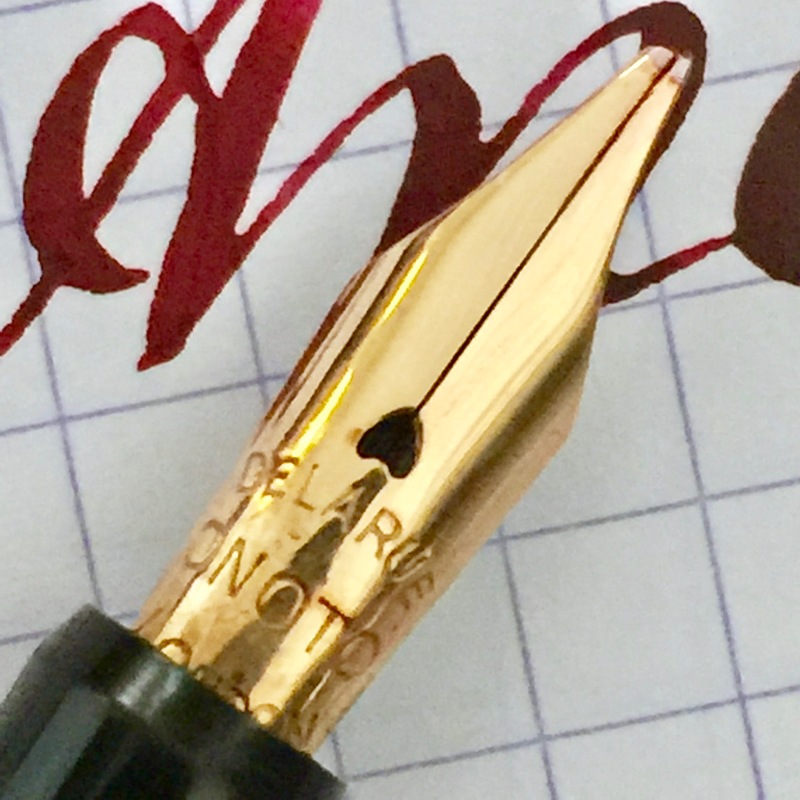 Initially this nib will lay down tons of ink, but the plungers were made to eliminate ink gushing and burping so the flow will decrease bit by bit as you use it. Eventually, you will have to twist the end cap of the plunger a quarter turn or so and the process will repeat: heavy flow decreasing in time and then you will have to turn the cap a bit more. Some will find this a fun reminder of vintage writing instruments. Some may find it an annoying extra step. I’m in the former group. Actually, in your writing what you end up getting is all kinds of shading. Dark, sheeny letters at one point, and lighter colors at another. 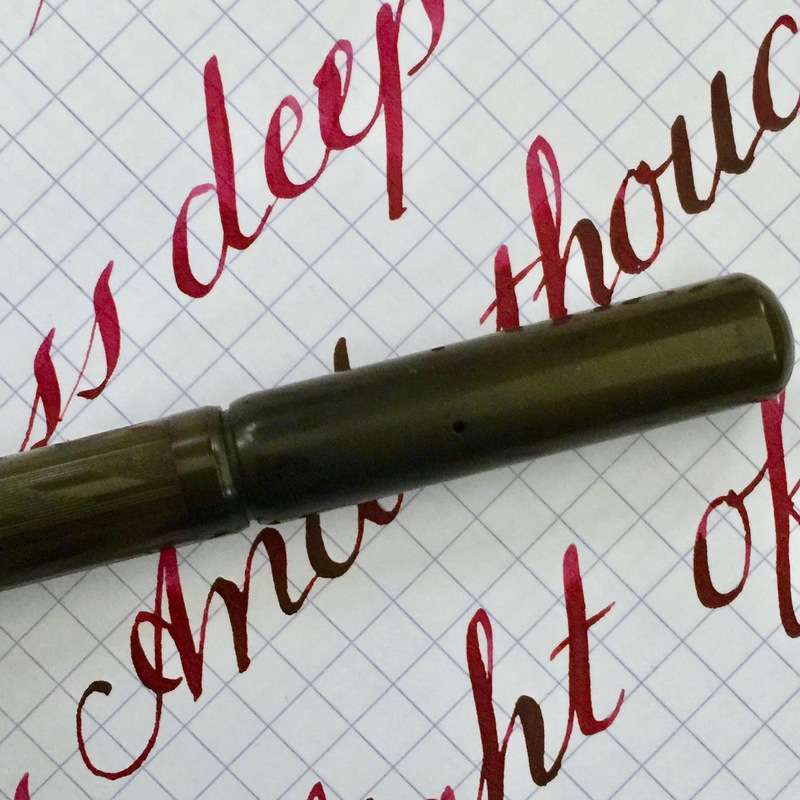 Even without the flex, the oblique italic nib is by itself worth a purchase.